We’ve crossed back into Central Time! We’ll be home soon. Today, we drove as far as Amarillo, Texas. Just before you get to town is a line of ten junker Cadillacs buried nose-down in a field along I-40. These were placed here by a group of art-hippies in 1974. 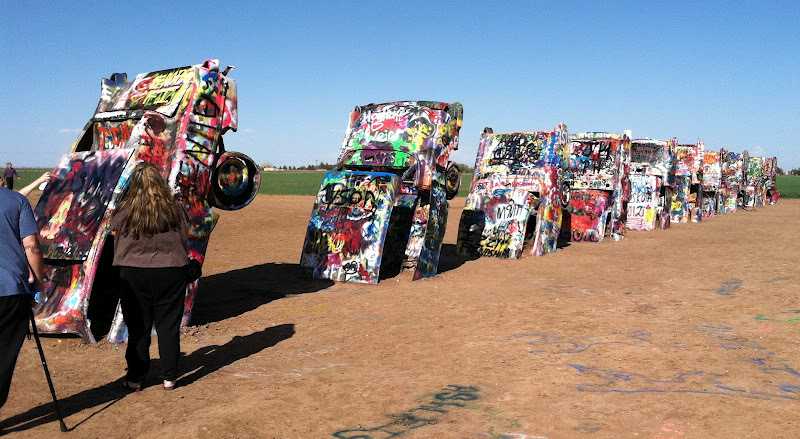 People would stop along the highway, walk out to view the cars–then deface them or rip off pieces as souvenirs. Over the years this behavior has evolved to the point that you are now encouraged to spray paint them. Unfortunately, I did not have any paint with me, or I would have left my mark too, even though it would be painted over in no time. Some people get a little carried away with the paint. 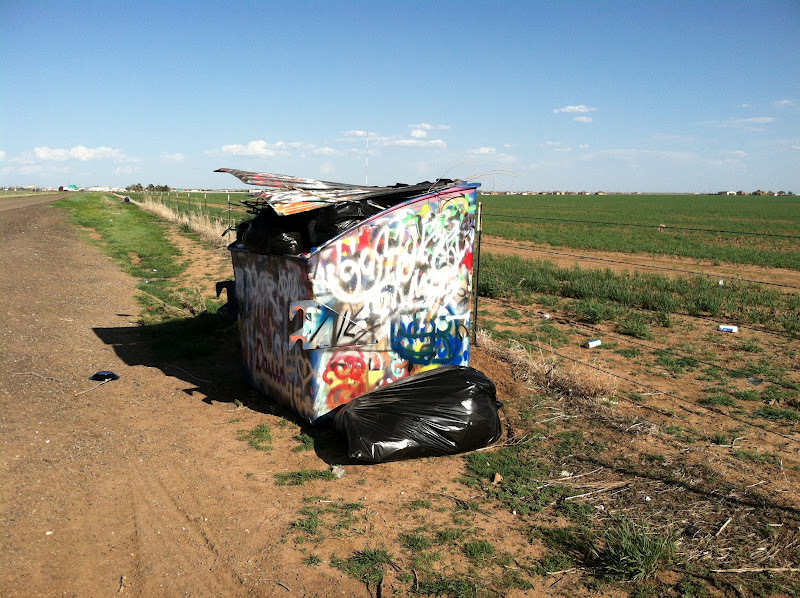 There is a fence and a gate that are all painted up, as well as this garbage dumpster. You’re Not Supposed to Paint the Dumpster!!! I met a lady there grumbling about her co-workers who always drag her to these “largest ball of twine” places. I laughed and told her I live in Minnesota and only 10 miles away from the “largest ball of twine”. It was funny. It was. We laughed.